Who knew that the crockpot could have so many ways to make the working world or just busy folks make dinner without knowing how to cook? 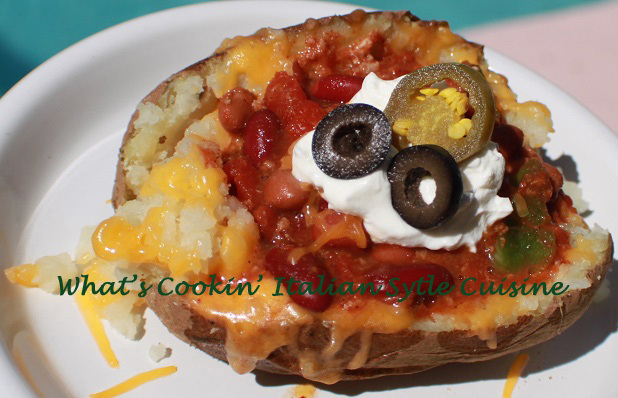 You can make a whole meal out of a potato with leftovers or just your favorite toppings from a jar or can! Oh by the way if you have hungry kids after school, this is a no brainer for them to come home they just will have to add cheese on top! Follow these simple instructions for the best results. 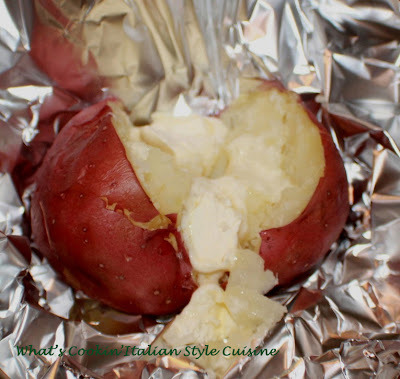 Wash the potatoes, place on foil, prick with a fork, add salt and pepper you can spread with softened butter if you like. Fill the crockpot with potatoes on low (dry no liquid) Check using a fork after 8 hours from that long hard day making sure they are soft. Take out cut up and fluff with a fork in the middles. Try some of my topping suggestions. Besides what is suggested you can always use leftover chili, stews or canned corned beef hash add some shredded cheese for melting and your meal is complete. Greek Style Potato: Feta cheese crumbles, olives, Greek dressing, shredded lettuce and chopped tomatoes. Philly Style Potato: Steak slices cooked topped with provolone, sauteed peppers, onions and mushrooms. Italian Guys Style Potato: Crushed meatballs in sauce add shredded mozzarella on top. Well I think you all get the idea! Have fun creating your own toppings! Till the next time this is +claudia lamascolo Author have a great day! This is a fantastic idea Claudia. Back in the day there was a shop in the food court that made baked potatoes with toppings of all combinations. One of my favourite lunches. 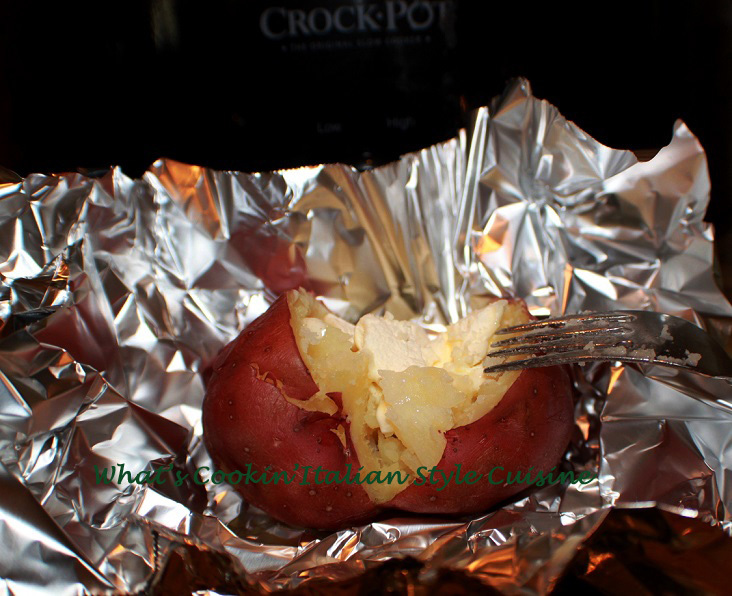 Didn't know the crockpot could be used to bake potatoes! Brilliant! Really? In a crockpot? Brilliant! And delicious.